Bacardi Supeior - The world's best known refined rum is double filtered through charcoal for smoothness and aged in white oak for character. 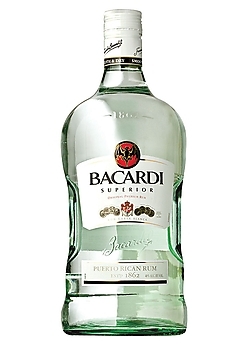 A light, dry, smooth rum with subtle flavours that makes Bacardi an ideal mixer, particularly in a Mojito. Alternatively enjoy this delicious white rum's smooth flavour straight.